A wallet image of a mother and daughter was the only remaining image of the two of them together. That image was ran through the wash and most of the paper backing was gone and the emulsion layer (the top layer) was heavily damaged. 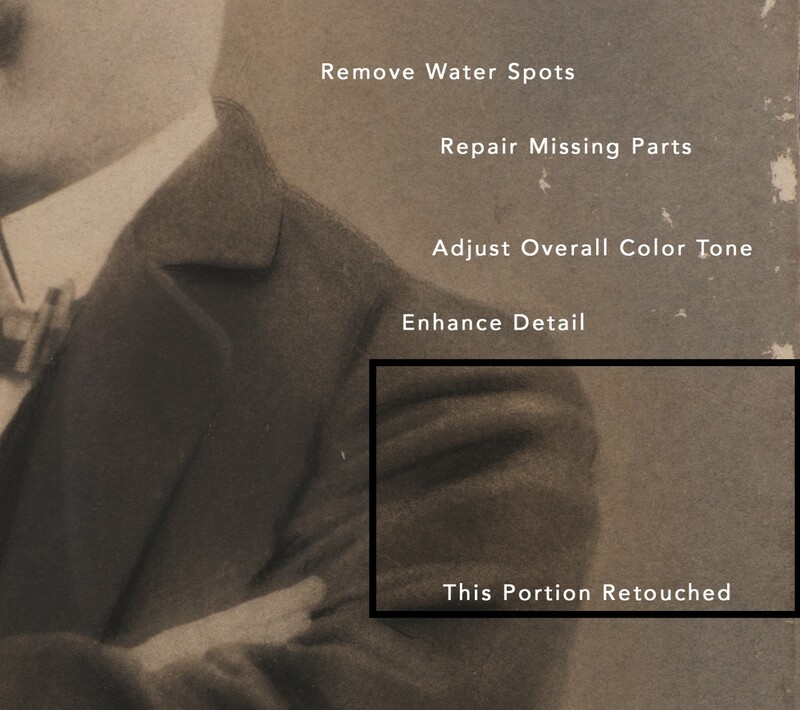 We were able to restore the image and create a remake of the print. The portrait pictured below is part of a large, almost 16×20, print that was given to the children by their mother. This portrait had been pretty well preserved but the printing process itself does not hold up well over time. The paper substrate is very loose and flakes off easily. You can see some of the work that is done in restoration to make a clean file to make prints from. In some cases we print on a similar paper to the original rather than on modern photographic paper. Framing restorations is always recommended. You can fill out the form below and we can get in contact with you about your restoration project.